IRGC Quds Force Commander Major General Qassem Soleimani says the victory of the Lebanese resistance movement Hezbollah in the recent parliamentary votes turned it into a Resistance Government. In a Thursday speech in Kerman province, General Soleimani hailed the victories of Iran’s allies in the region, particularly those in the Iraqi and Lebanese parliamentary elections. “After the Lebanon’s elections, the resistance group Hezbollah has become a resistance government,” he said, adding that Iran’s allies have also won elections in Iraq. Hezbollah and its political allies made significant gains in Lebanon’s parliamentary election held early May, wining more than half of the seats. Hadi al-Amiri’s Fatah Alliance and Haider al-Abadi’s Nasr Alliance, both close allies of Iran, also won a huge number of seats in the May parliamentary elections in Iraq. 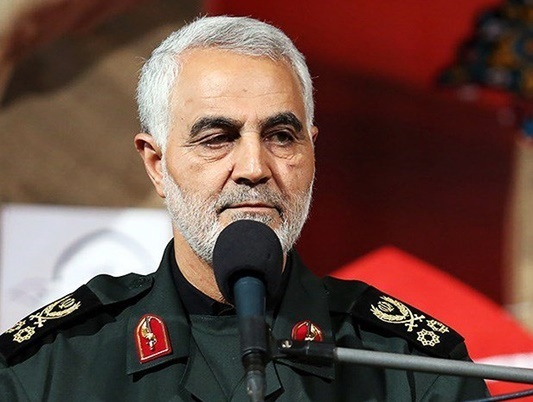 Elsewhere in his remarks, General Soleimani downplayed the recent threats by the US to use sanctions to destroy the Iranian economy, saying that plots hatched by Iran’s adversaries usually end up preparing the ground for the Islamic Republic’s achievements. The remarks came as the US is escalating pressure on Iran after pulling out of the 2015 nuclear accord and vowing to impose the “highest level” of economic bans on Iran.